Renault has a huge automotive portfolio. They are about to start vehicle production in Pakistan in 2020, Renault Automotive has started this project in partnership with Al-Futtaim Group, one of the biggest conglomerates of the United Arab Emirate. For setting up this automobile assembly plant, the company has already acquired 56 acres of land in Faisalabad, an industrial city situated in the province of Punjab. This would be Al-Futtaim’s second venture in Pakistan, where it also makes tractors and generators through its subsidiary Al-Ghazi Tractors. “Al-Futtaim is fully committed to the Pakistani market and to this project,” said Colin Cordery, Senior Managing Director of Al-Futtaim Automotive International. “We, together with Groupe Renault, are delighted to have completed the land acquisition, which is an important milestone in the project. Once construction work is completed, the state-of-the-art assembly plant will have a total installed capacity of over 50,000 units per annum. Al-Futtaim and Renault expect that the factory will commence production in 2020.Renault has been trying to enter in the Pakistani market since last two years, they tried signing a deal with the two Pakistani companies, Dewan and Gandhara, but the negotiations didn’t go through. Renault sees great potential in the Middle East and India region, where it plans to increase its sales volume to more than 800,000 units by the end of its 2022 strategic plan. The company is well established in North Africa and India, and is developing rapidly in Iran; it currently does not sell any cars on the Pakistani market. However in late 50’s and in mid 70’s the following models were introduced in Pakistan. 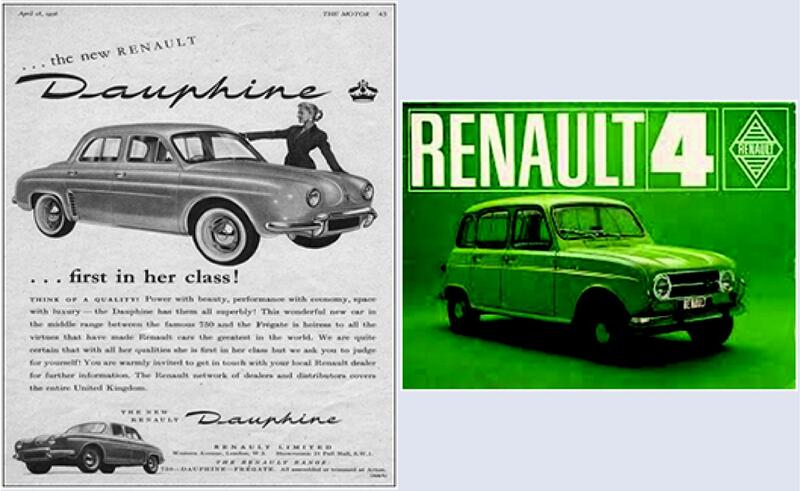 Unfortunately, against German, Birtish and Japanese cars Renault cannot make its place in Pakistan market in the past. Now Renault is very much inspired and encouraged with its success story in our neighboring country India, although Renault has experienced many upheavals in India. When Renault first entered in India through a joint venture with Mahindra & Mahindra, it placed high hopes on its maiden product offering Logan – a mid-sized sedan launched in 2007. But the car with its dated looks and high pricing failed to strike a chord with Indian consumers. Such was the scale of the failure that it ended up killing the joint venture in 2010. Renault’s brand name took a massive hit in India. Ironically, the Logan’s failure laid the foundation for the success of Renault’s compact sport-utility vehicle (SUV) Duster. The Duster took the Indian market by storm. It fuelled the segment of compact SUVs and grabbed a 23 per cent market share within a year. The Duster’s success was such that Renault had to triple production within months of its launch from seven per hour to 20 per hour. Similarly, Renault is expected to introduce latest vehicles and technology in Pakistan’s market in an attempt to break the monopoly of the three dominating Japanese assemblers – Suzuki, Toyota and Honda. Renault DUSTER may be the first model which would be assembled and launched in Pakistan. Renault DUSTER. Has a revolutionary new engine which is tuned perfectly to generate exceptional power and torque. But power is nothing if it’s not delivered dynamically. That’s why the DUSTER’s new petrol engine comes mated with a state-of-the-art X-tronic CVT (continuously variable transmission). The DUSTER also comes with a powerful 1.5 litre diesel engine. Available in two avatars, the AWD variant is designed to adapt to any terrain while the 6-speed Easy-R AMT variant makes driving effortless even in the harshest conditions. With its astounding features, the Renault DUSTER truly lives up to the term, the true SUV. The mini-car segment is the toughest segment and very hard to break but Renault has plan to enter in this segment too. They have a model called Kwid, the Renault KWID comes with a host of thoughtful features, having an eight hundred cc engine. On the outside, the new Razor-edge Chrome Front Grille highlights the Renault diamond logo, while stylish fog lamps further enhance the Renault KWID’s striking stance. On the inside, the new stylised chrome gear knob adds to the appeal while the new first-in-class rear 12V power socket ensures phones remain charged in the backseat too. Moreover, the new first-in-class Rear Armrest of the KWID CLIMBER makes for a more relaxed posture. Renault would be the second European automobile company who will start CKD operations in Pakistan. Italian car maker FIAT was the first European brand which started its CKD operations in Pakistan in late nineties but failed to attract the Pakistan customers.